Ensure the success of your Vankleek Hill construction project by turning to the professionals at Cliftondale Construction Co. Cliftondale Construction has over 40 years of industry experience to serve you. When you come to us for gravel, sand or other materials, we will have someone on site to do the loading. We also have a truck and float available for your hauling requirements. Our facility offers a Ministry of Transportation licensed scale for your convenience. 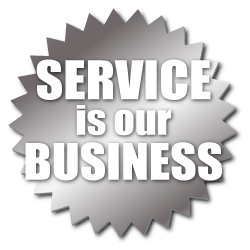 We enjoy serving clients of all types and look forward to accommodating your exact needs. Cliftondale Construction is a local Vankleek Hill operation that enjoys building relationships with our clients. Whether you are a contractor, farmer or residential client, we work hard to find cost-effective solutions that make sense for your project. Our friendly team will take the time to answer any questions you might have. If you have any questions about our services or pricing, please call. With over 40 years of industry experience, you can trust the team at Cliftondale Construction. If you’re interested in large quantities of aggregate, please call today for a confidential quote. We invite you to learn more about the Cliftondale Subdivision we are currently developing in Vankleek Hill. Member of Vankleek Hill Business and Merchant Association –We accept Vankleek Hill Bucks!